Tuesday at 6:00 p.m. EST | The Sharvette Mitchell Radio Show, brought to you by Mitchell Productions, LLC, features various guests that include, celebrities, artists, authors, small business owners,public speakers, consultants, media personality and other influential people! Our goal: to motivate, excite and influence. The Sharvette Mitchell Radio Show airs every Tuesday at 6:00 p.m. EST. Find out more about our host and guests at www.Sharvette.com Our Guest: Eulica Kimber Eulica, is an author, speaker and business growth coach. 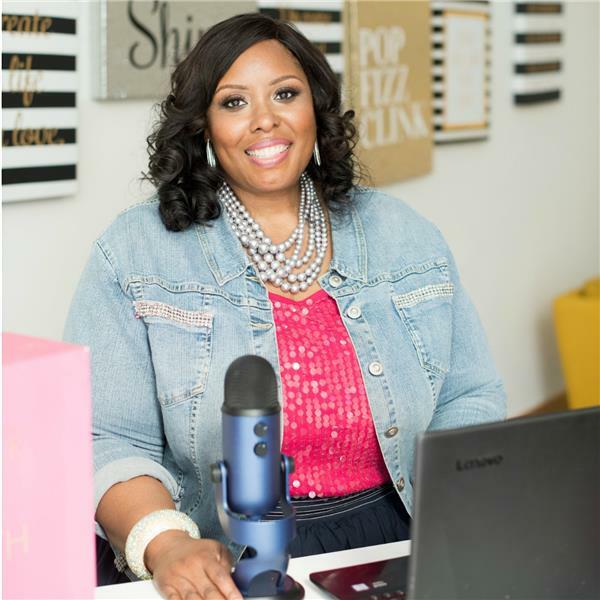 She owns Firm Foundation Accounting Solutions PLLC dba Eulica Kimber CPA as well as an online school for entrepreneurs called the Plan2Prosper Small Business Academy. Eulica, a 1992 graduate of Virginia State University and earned an MBA from the College of William and Mary. She has worked in the accounting field since 1991 and is licensed as a Certified Public Accountant by the Board of Accountancy of the Commonwealth of Virginia. The Sharvette Mitchell Radio Show airs every Tuesday at 6:00 p.m. EST. Find out more about our host and guests at www.Sharvette.com Our Guest: Maria Davis-Pierre Meet Maria Davis-Pierre, Founder and CEO of Autism in Black Inc., located in West Palm Beach, Florida. This organization aims to bring awareness to Autism Spectrum Disorder and reduce the stigma associated with the diagnosis in the black community. As a licensed mental health therapist, Maria primarily works with parents to provide support through education and advocacy training. Her passion for working in the field stems from her personal j0urney with ASD when her daughter received the diagnosis at a very early age. In addition to therapy, Maria dons many other titles including coach, speaker, advocate, and most recently author. Her first published work, The Self-Care Affirmation Journal, is currently available for purchase on Amazon. Maria's unique approach to coaching and counseling exemplifies her drive and motivation toward greater acceptance and overcoming the barriers and personal struggles associated with raising a child on the spectrum. Connect with her today and allow her to partner with you through your ASD journey.